Autumn crocus blooming in lawn - side view. 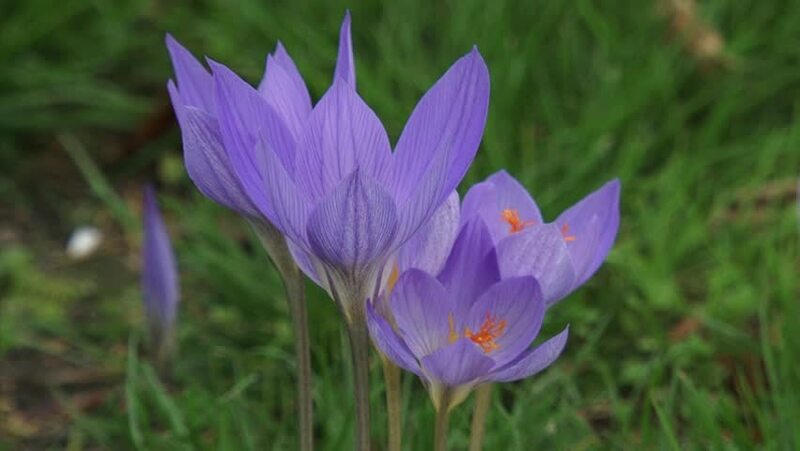 Colchicum autumnale, autumn crocus, meadow saffron or naked lady blooms in autumn with no surrounding leaves. The leaves and seeds appear in spring. 4k00:12Vietnam, impression landscape of nature with lotus pond, flower blossom in vibrant pink, green leaf, beautiful petal make summer scene so amazing, large tree on the field. Taken in Ho Chi Minh city. 4k00:13Water lily or Lotus morning concept, Lotus flower is beautiful pink petal on light sun morning on sunrise. Wind blowing waterlily motion beauty and bokeh bright droplet water of leaf lotus flower. 4k00:13Vietnam, impression landscape of nature with lotus pond, flower blossom in vibrant pink, green leaf, beautiful petal make summer scene so amazing, large tree on the field. Taken in Ho Chi Minh city.